Take one part legal eagle and mix in one part self-taught interior designer and what do you have? 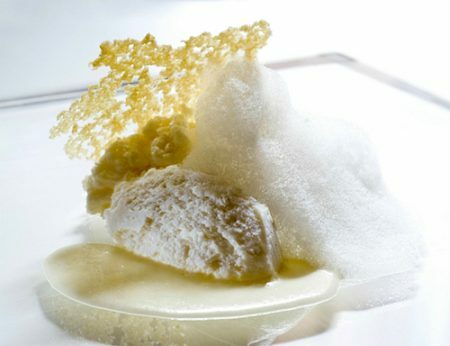 One of America’s brightest young design talents. TY LARKINS is a licensed attorney in Louisiana who’s putting the state capital of Baton Rouge on every one’s design radar with his fresh, modern mix of southern style. 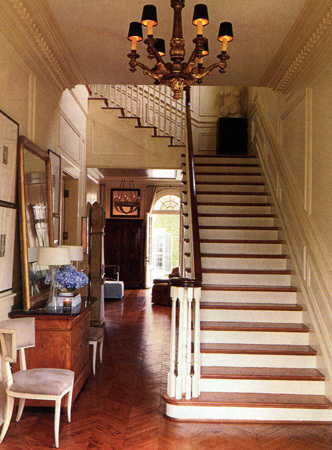 The entrance hall offers a peek through to the outside courtyard and is decorated with hardwood floors, a French chest of drawers, Swedish side chairs and a mirror propped on the chest flanked by artwork. 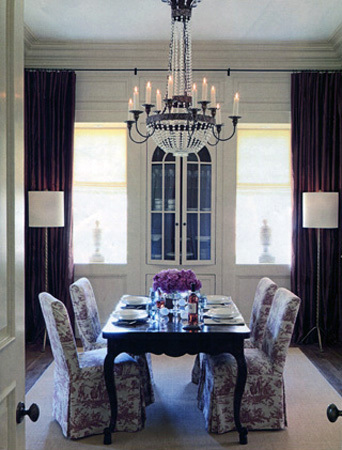 In the dining room, Ty’s choice of bold colors in the drapes and toile slipcovers adds life and vitality. The chandelier may look antique, but it’s new from Niermann Weeks. The Eric Cohler rope floor lamps add a touch of the unexpected. Ty tried ten different shades of brown before he found the right shade for the family library. 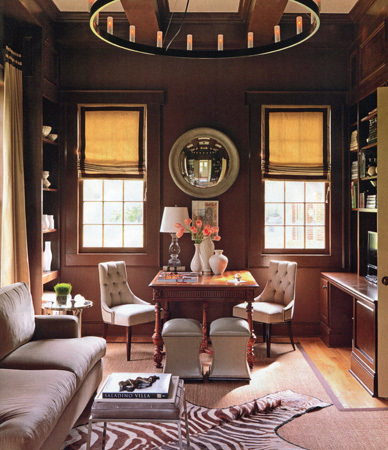 He added a small table between the windows, perfect for a game of Scrabble or an over-sized design book that you want to display. The leather pouf ottomans are another great idea because you can move them around to create additional seating. The antique chandelier and zebra skin rug add to the unexpected. 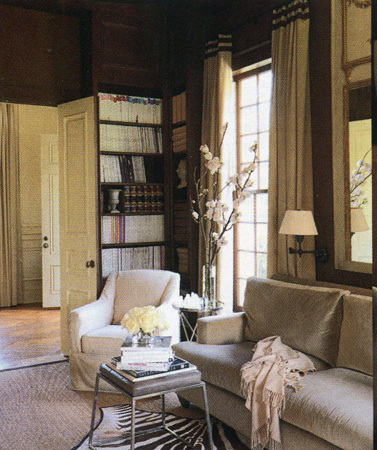 In a different view of the library, note the floor-to-ceiling draperies and that instead of table lamps, he mounted wrought iron swing-arm lamps on the wall. The corners of the library contain bookshelves that house the family’s book collection. What southern cook wouldn’t love this spacious kitchen? 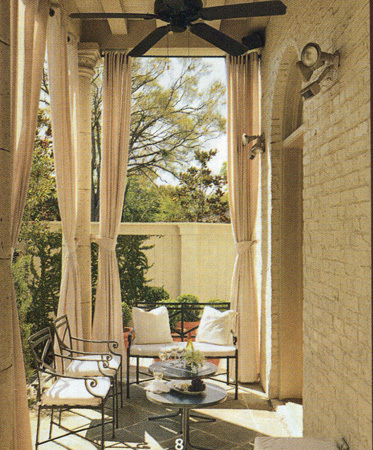 Ty created this French Quarter-style courtyard on the back terrace. The water fountain and brick flooring surrounded by potted greenery and a vegetal wall covered in fig ivy are pure New Orleans. Ty created seating areas on the back terrace complete with ceiling fans and drapes.